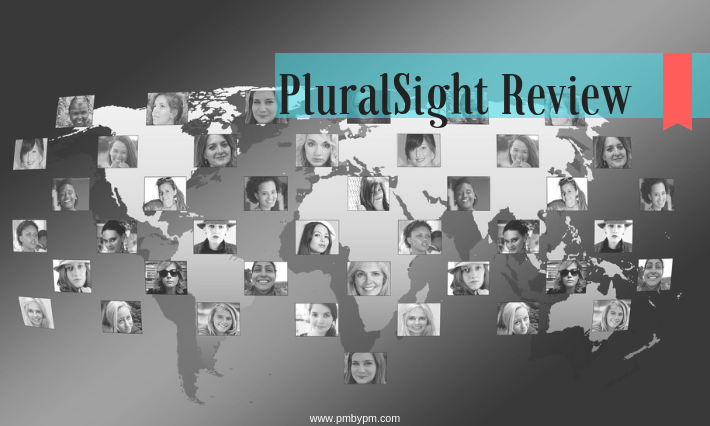 You might be looking for information on Pluralsight review. Let me answer the following questions in this article. Is Pluralsight worth it? Do Pluralsight training courses and certificates provide any value? Should you take Pluralsight subscription? 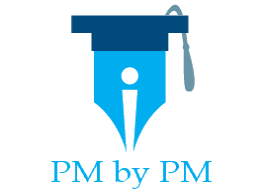 I am always on lookout for good project management courses for the blog readers. Sometime ago I landed on Pluralsight.com PMP exam prep path. I liked its PMP training program. While checking out the PMP course, I did a review of Pluralsight as well. I checked its course paths, subscription price, free membership, elearning features, and discounts. Let me give you an overview of Pluralsight platform. I will tell you about its pros & cons and share my review findings with you. By taking Pluralsight subscription, you get an unlimited and unbound access to thousands of courses under a single license. During the subscription period, you can take as many courses and as many times as you want. You don’t have to spend money on each course separately. It is like paying for a buffet and eating as much as you can. PluralSight provides thousands of courses and they keep on launching new courses. At the time of writing this post, there were over 6500 Pluralsight courses for IT, Software, Development, and Security professionals. It was offering courses on multifarious subjects like C#, Java, Angular, Android, Dev essentials, Machine Learning, Python, Microsoft Azure, and Visual Studio. You can continuously learn new hot skills that are in high demand by enrolling into these courses. Pluralsight provides Beginner, Intermediate, and Advanced level courses for Individuals and Businesses. The courses can be taken as part of a periodic (monthly or yearly) subscription. You can choose any of these courses that suite your skills. Pluralsight provides excellent search facility using which you can find courses based on your role, skills, and interests. Intermediate, and Advanced levels. You can pick any course for learning a new skill but a better way is to follow the entire path. The paths provide a logical flow of courses from beginner to advanced level. You can completely learn a new skill by following an entire path. Pluralsight chooses course authors after proper vetting process. Unlike many other eLearning companies, they employ only a limited number of knowledgeable authors. Pluralsight authors are not only experts in their respective fields but also amazing teachers. They are excellent communicators and have passion & enthusiasm to share their knowledge with the students. Moreover, authors’ revenue is tied to the number of views of their courses. So, they have extra motivation and incentive to produce great quality content. You can look at the profile of the author and understand her/his credentials & achievements before opting for a course. Many course authors include exercise files that are to be completed as part of the course. These files come in the form of pdf slides, instructor notes, source code, and other useful resources. In addition to the exercise files, many courses have in-built learning checks for self-assessment. These come in the form of short quizzes. These tools are useful for validating your knowledge on the subject that you are learning. You can download certificate of completion as a pdf file once you complete a course. These certificates can be submitted to certain test taking bodies like CompTIA and PMI. Discussion boards are community based forums. You can use these forums for giving feedback, asking questions, and participating in discussion around course topics. These are useful for clarifying your doubts and sharing opinions. You can use mentoring to get direct support from the experts. Pluralsight mentors include course authors, leading professionals, and instructors at top schools. It is done through live video sessions for the group plan users. You can download and access your courses for offline viewing using mobile apps and offline players. Pluralsight provides apps for Windows, MacOS, Android, iOS, and Apple TV. Pluralsight provides good quality high definition videos. These are delivered through a modern video player. It is developed using HTML5 that does not need any specific proprietary software installed on your computer. You can control many things including settings for autoplay, subtitles, and playback speed. Pluralsight provides good quality videos for all its courses. It employs full time video editing people who maintain consistent quality. They review all the videos ensure that the content standards are maintained. This is one of the most potent benefits of Pluralsight. You can start a free 10-day trial and experience all the fabulous features yourself. If you are looking to learn a new skill, there is no harm in taking a free trial. Pluralsight provides mentoring only for group plan users. Individuals cannot reap benefit of this feature. Pluralsight does not provide refunds on the subscription payments. Once you have made the payment, you can access the platform till your subscription period runs out. The course content is restricted to technology, software, development, and security courses. The courses are most suited for IT professionals. At the time of writing, Pluralsight does not provide any business skills or personal development courses. Like with any other eLearning platform, self-discipline is very important. All of your learning will come through self-study. You will not be able to fully exploit the features of Pluralsight if you are not self-disciplined. Final Words – Is PluralSight Worth It? I believe Pluralsight is worth your money. There are many advantages of taking Pluralsight subscription but very few downsides. It is good for Individuals and Businesses. It is especially useful for those who want to learn multiple new skills in short frame of time. Pluralsight has developed advanced algorithms to track progress of the learners. It provides a very good experience to the learners. It gives a great opportunity to the businesses and individuals alike. You can exploit this platform to improve and enhance your technical skills. If you want to explore further, you can take a free trial. It will cost you nothing. You can gauge the value of Pluralsight by trying it out for a few and then decide if it suits your purpose. Is Pluralsight suitable for your needs? Which all courses/skills do you intend to learn? What features are missing from the Pluralsight platform?